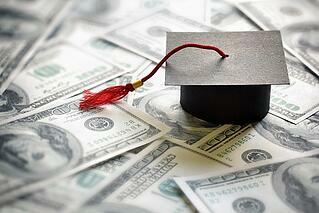 Will I Qualify for a Student Loan after Bankruptcy? If you are filing for bankruptcy and plan to go to school, you may be wondering if you will be able to qualify for a student loan. It's important to know the details and which types of financial aid and loans can consider your bankruptcy. First, a bankruptcy will have no impact on eligibility for federal student aid. The anti-discrimination rule appears in 11 USC 525(c). This rule prohibits denying a loan insured under the student loan program to an applicant becuase of a bankruptcy. Second, private loans which are not guaranteed by the government are not prohbited from considering a bankrutpcy - as well as any other credit history - in making an underwriting decision. Bankruptcy will likely impact a private lenders decision, but this is not to say that a bankruptcy will prevent a person from obtaining a private loan. Bankruptcy will just be another factor to be considered along with the applicant's overall financial condition and credit history. Each lender will have its own guidelines and it may be that after filing bankruptcy - and getting rid of all the other debt - an applicant can show that he or she is actually a better risk than before. For more bankruptcy resources, check out our bankruptcy videos page. If you are considering filing bankruptcy and need help, get a free bankruptcy consultation today from the personal bankruptcy lawyers at Scura, Wigfield, Heyer & Stevens, LLP.